To clarify two points here. First, atheism is not a single system of beliefs. 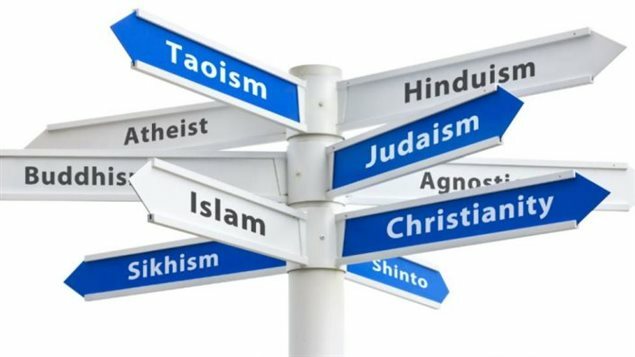 Not all atheists “believe” the same thing, and you’ll find a broad range, such as atheists who do not believe in anything supernatural and others who simply do not believe in a God figure within the range of what we might consider supernatural. There’s no atheistic authority where someone is going to say “you aren’t really an atheist, because….” Because there is no “system” here. Second, the reason why atheists are protected by the Bill of Rights is not because atheism is a religion, but because Congress shall pass no law regarding an establishment of religion – which includes any law inherently biased against those who don’t have any religion. Atheism really isn’t a religion. Any more than pantheism is – because pantheism is simply a *kind* of belief, which at least some religious faiths embrace as a tenet of their faith. Similarly I’m sure there are atheistic systems that you could argue are religions by definition 2 – like Socialism in China for example. That might be a more interesting question. I’m mostly responding because this post seems to embrace a common fallacy, that all atheists are the same and there’s some kind of Atheist Church floating out there with Atheist Saints that they worship and have faith in, with maybe a few Atheist Heretics that don’t conform. That’s simply not how this works. I kind of agree with AHTDoucette. Some atheists “worship” Communism since they hope it will save the world. Others see Science as our savior. Or Human Goodness. Or Survival. Or Art–if they’re creative types. People reject God for different reasons too. The bitter atheists who wear a fedoras and hate the god who doesn’t exist differ from reluctant atheists who wish He did and miss Him but have lost all faith. I tried to make it clear in the above blog post that there were different kinds of atheists, but obviously, I failed. The post above represents my own opinion and I am aware that others have different opinions. I once considered becoming an atheist myself, at a time when I had lost faith in Christianity. I just didn’t feel I had any logical reason to assert the non-existence of God, and I admit I was somewhat repelled by the nastiness of Madilyn Murray O’Hair, the only actual atheist I was much aware of at the time. I know that if I had become an atheist anyway I would have been a different kind of atheist than O’Hair was!